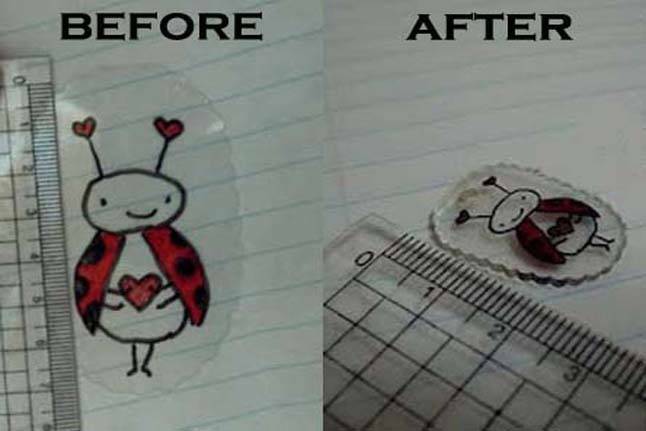 Upcycled Shrinky Dinks: A kid-friendly way to make these plastic toys by reusing old containers from C is for Craft. 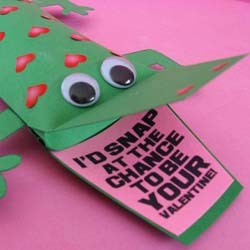 Alligator Valentine: Make this Valentine from Skip to My Lou if you dare! 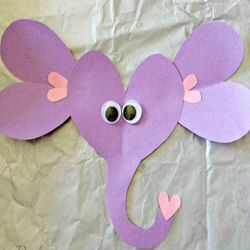 Animal Valentines: We’re “nuts” about these heart-shaped elephants from Sassy Dealz. Click the link for more awesome animal Valentine ideas! 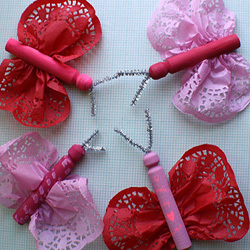 Doily Butterflies: Hearts will flutter upon receiving these cute crafts from Scrumdilly-Do. 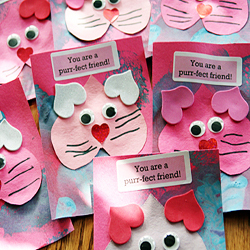 Puff-fect Friend Cards: Easy to make cat craft from Blissfully Domestic– no kitten around! 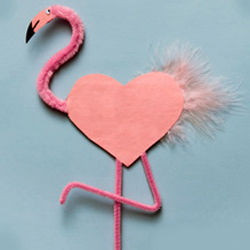 Flamingo Valentine: Impress your friends this Valentine’s Day with this heart-inspired flamingo valentine craft from NWF. 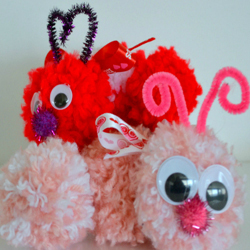 Valentine’s Day Critters: We’re not sure what these critters from Mom on Time Out are, but they sure are cute!